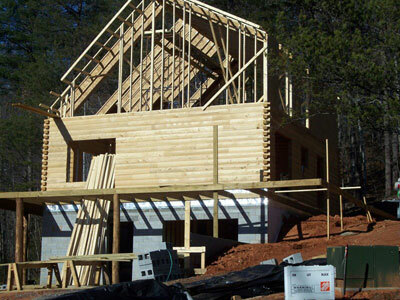 You are purchasing a new log home or you already own a cabin and you are concerned about its maintenance. Your log home has gone several years without care. Now you may be seeing the signs of age including discoloration and fading. Media blasting is the best technique to maintain and preserve the exterior wood of your log home. 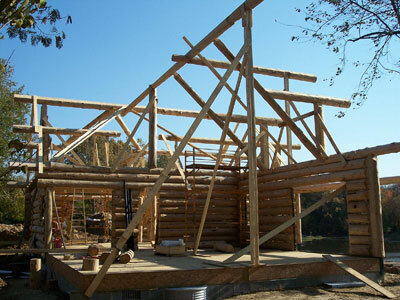 Log home chinking can be done during construction or years later to keep the interior warm and airtight. Chinking conserves energy and protects your log home from insects. Owners of log homes sometimes mistakenly blame insects for damage caused by wood rot. Rotting logs are what usually first attract a wide variety of bugs to your home. 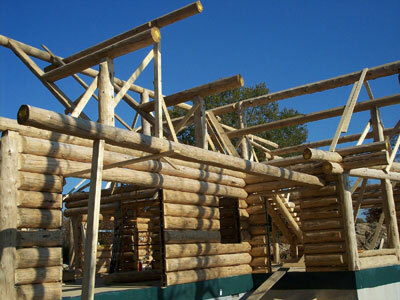 We are here to help you get your log home investment back in shape with our complete line of repair services. If you are just looking to keep up with your yearly maintenance you can choose any of our property maintenance services including roof, decks, fences, sheds, garages, flooring and more. 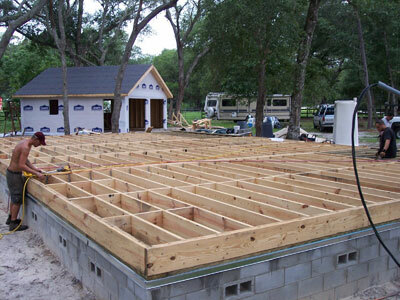 Performance Log Finishers offers you a complete property maintenance solution. View more images of log restoration performed by us. Contact Performance Log Finishers or call 800-781-2551. “We bought our log cabin four years ago. It was a total wreck from years of neglect – carpenter ants/bees, water damage/staining from leaking roof and skylights, etc. But it was six beautiful acres with a private lake one hour from the city… Before we made the decision to tear the house down and start over, we met Ian and his team. They literally “camped out” in the house for six weeks and totally stripped/stained and resealed the entire house! Four bedrooms, two full baths, great room, kitchen, hallways and the entire outside- including a wrap around deck- was refurbished and protected. And Ian has stayed in touch every year. He just checked on us and this past summer re-sealed the home’s exterior.